We’re pleased to announce that TALL Engineers has joined Entuitive, an established consulting engineering practice with seasoned structural engineers and building envelope specialists successfully delivering projects of all sizes across Canada, the United States and internationally. Our clients and collaborators can expect to continue working with the same great team focused on client service, but with an added dimension and perspective. Together as one company, we offer over 175 structural engineers, building envelope specialists and support staff along with broad resources and advanced technical capabilities to further support projects and deliver creative solutions to the unique design challenges we address every day. We’re looking forward to the ambitious new projects on our horizon while our commitment to the technically challenging and architecturally-driven works that we are known for remains at our core. Entuitive has an extensive and diverse portfolio of new construction and existing buildings projects across many industry sectors including commercial, institutional, cultural, residential, healthcare, retail, transportation, sports and recreation, hospitality and mission critical facilities. The firm offers structural engineering, building envelope, building restoration and special projects and renovations consulting services. Some of Entuitive’s more notable projects include; Brookfield Place Calgary, which will be the tallest building in Western Canada upon completion; the Eglinton Crosstown LRT in Toronto, Canada’s largest P3 infrastructure project to date; the award-winning Manhattan West Platform in New York; the highly anticipated $245 million New Central Library in Calgary; the Buddy Holly Hall for Performing Arts and Sciences in Texas; and a new medical laboratory building at Rockefeller University in New York. On an annual basis, Entuitive is involved in over $5 billion in project work. Entuitive’s portfolio is balanced with modestly-sized projects with critical timelines and unique constraints including building improvements, heritage restorations, building envelope reviews and repairs, tenant renovations and public artworks. The team navigates access and timing challenges to formulate innovative construction solutions, lending to their solid reputation for collaboration. Entuitive is a people-focused firm known for its responsiveness and attention to its clients’ needs where every project, no matter the size, receives the attention it should. We couldn’t have found a better way to grow. 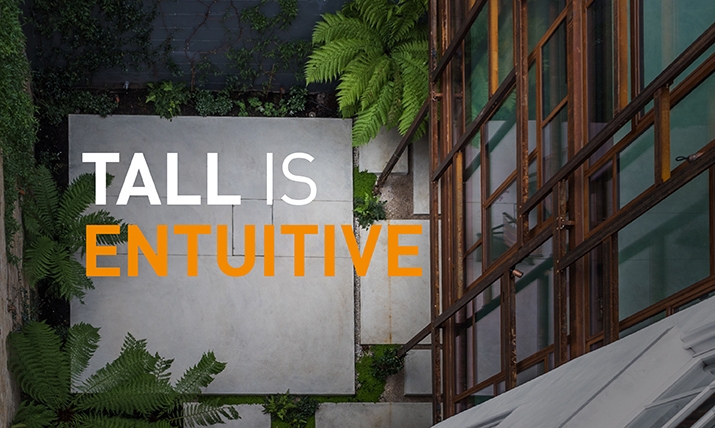 Entuitive’s collaborative approach is deeply aligned with the way we work with architects, developers, building owners, building managers and construction clients to find the most practical, yet sophisticated solutions. It is said that the only constant is change. We believe the change we are making is for the better, making us taller than ever, with a new perspective on the future. We invite you to contact us with your questions.